NOTE FROM THE EDITORS: This special issue aims to provide planners and managers with specific information about the physical basis of their island economies. what and how much material and energy is locally produced, imported, transformed, demanded, used, and discarded. By providing fairly accurate data, with scenarios and policy recommendations, we expect these contributions to have a high degree of traction towards more sustainable use of resources as a climate adaptation strategy. Such data will also be of immense value to support economic sectors, identifying opportunities for innovation around material recovery and reuse to support resource circularity and sustainable practices. Based on a materials stock and flow principle, the field of Industrial Ecology systematically analyzes interactions between human/industrial activities and the environment, in order to move towards practices that are sustainable in the long-term. The emphasis is on society’s resource use and resource efficiency at multiple scales. The concept of “social metabolism” and its accounting framework, Material and Energy Flows Analysis (MEFA), have made considerable advancements in the ability to measure resource throughput for understanding long-term trends in national and global resource use, decoupling, and circular economy. Islands are excellent focal points for studies of Industrial Ecology. Not only does the clear boundary of islands simplify tracking resource flows, but the limited resource availability and carrying capacity of small islands warrant better tracking and management of these inputs and outputs. The challenge of resource security on small islands is further aggravated by the global environmental change. Sea level rise and extreme weather events result not only in infrastructure losses but also in the immediate loss of critical services. Restoring the services provided by these stocks comes with large material requirements for reconstruction, oftentimes incurring huge debts. This Special Issue invites contributions that look at material stocks and flows on small island states (SIS) and sub-national island jurisdictions (SNIJ), how such insights can support island societies to move towards more sustainable and resilient modes of production, consumption and infrastructure development. The special issue will also consider compelling contributions related to island sustainability in general. 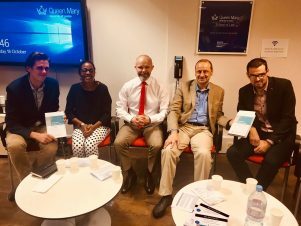 Book launch of a book pertaining to our conference theme features three of our Conference Planning Committee members: Dr. Wouter Veenendaal (far left), Dr. Godfrey Baldacchino (second from right), and Dr. Jack Corbett (far right). The book, co-authored by Veenendaal and Corbett, is entitled Democracy in Small States: Persisting Against All Odds (Oxford University Press). The other panelists include Dr. Edalina Rodrigues Sanchez (2nd left) and Dr. Baldur Thorhallsson (centre). The venue was Queen Mary’s University of London. Congratulations, all! 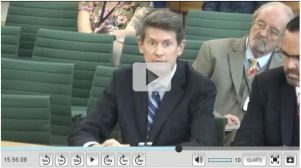 Dr. Peter Clegg, member of our conference planning committee, appears as a witness before The UK Parliament’s Foreign Affairs Committee, which is having hearings into the Future of UK Overseas Territories. Peter and other speakers address the practical and intangible reasons why Overseas Territories might wish to maintain their status – a topic that aligns perfectly with the themes of this conference. Click here for video link. Comparative analyses have found that non-self-governing islands tend to have much better development indicators than sovereign islands. Perhaps unsurprisingly, since 1983 no non-self-governing island has acquired political independence. This paper argues that rather than merely maintaining the status quo with their colonial metropoles, non-self-governing islands are actively creating a new form of sovereignty. This creation of an “Islandian” sovereignty takes place against the backdrop of debates on the relevance of classic Westphalian sovereignty and emerging practices of Indigenous sovereignty. 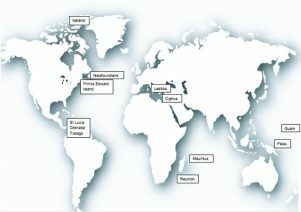 This paper reviews global research on the sovereignty of islands and from this review, develops an analytical framework of five mechanisms that drive the emerging Islandian sovereignty. This framework is tested and illustrated with a case study of the negotiations about sovereignty between New Caledonia and its colonial metropole, France. 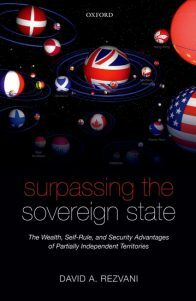 And here’s the link to a book trailer for David A. Rezvani’s new book, Surpassing the Sovereign State: The Wealth, Self-Rule, and Security Advantages of Partially Independent Territories (Oxford University Press).